A son is always dear to his mother and a daughter is always dear to her father. This is the equation we generally come across in every family. But, the father-son relationship is a unique one. There is some fear out of respect; there is some love out of concern. It’s friendly at times, it’s rebellious at times. Whatever the two do, is for the family on a whole. Our Telugu movies too have defined this father-son relation many times in many different ways. We have picked some of the classic and touching relations our actors shared with great chemistry on screen. Yes, a tear did role when a thought of our fathers came into our minds while watching this on-screen father and sons. A jovial father who helps his son in reaching out to the girl he loved was one of the main factors the film saw success. Ultimately, the loss of his father is a realization point where Ganesh decides to go ahead with his career instead of the girl. 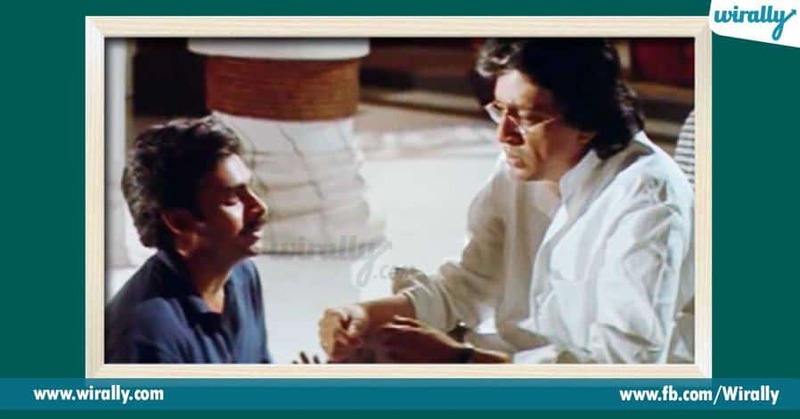 One of the best father-son relationships defined in Telugu cinema. The excess concern of a father and his interference in his son’s life stifles his son. This leads the son to outburst his emotions seeking freedom for his personal life. A very common trait that is seen in every household was beautifully put forward leaving a thought in every father’s mind. A son who struggles to settle down in his career sees the light of luck through a girl whom he falls for. On the other side, he lives with his father who always scolds him to get settled. Though its Tom and Jerry sorts of relation, there is a heartwarming relation they share undercurrent. The moment where he preserves his dad’s scooter after his loss is simply touching. The father is barely shown on screen, but the values he has induced into his son carries all through the movie. A classic movie that shows that human values are the biggest asset a father can give his son. One of the most complicated stories told in the most simplistic way. The connection was not only on-screen but off-screen as well. The best farewell anyone can gift to a Legend like ANR. The movie also carried some light emotions where a son who lacked parenthood as a child decides to live with his father, once he sees him re-born. Vidya Balan Becomes Pride of Kerala! !